As I mentioned yesterday, I’m in the beginning of stages of creating a web series with a great group of people. Well, one thing that can really reduce that anxiety for me is teaming up with people that actually get things done. I’m incredibly pumped right now to be teamed up with the guys that made this short film. I think it’s really great. Especially the part where they finished it and put it up on the internet. 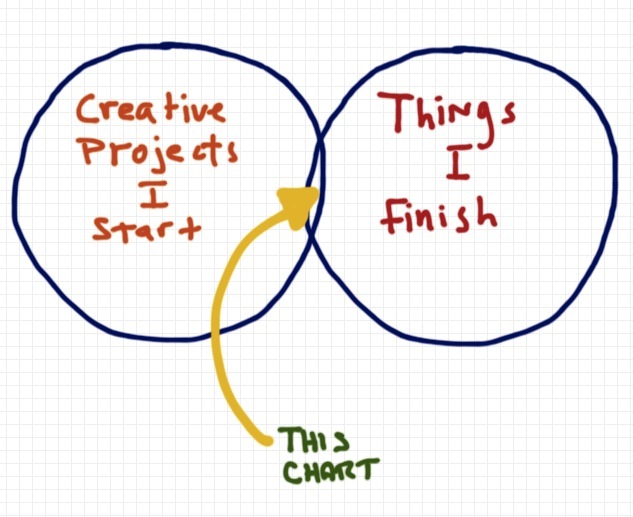 Guys – My plan is coming together! As Polexia Aprhodisia once said in Almost Famous, “It’s all happening.” One of my blog posts was picked up by a MAJOR media source. Click the link so they think I’m really great. Alternatively, you can now run a google search for “Rob Pollak – Elephant” and the results won’t be pictures from my sophomore year of college anymore! SPOILER ALERT — In keeping with the spirit of this post, details of the final round of the British Open Golf Championship may be revealed below. 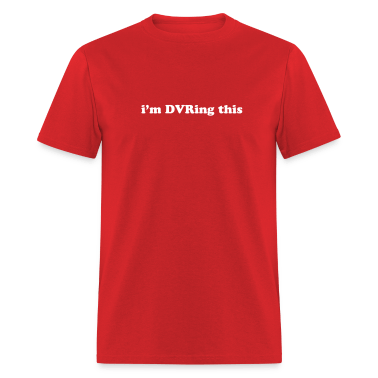 If you plan to watch the final round on DVR and have been avoiding contact with all people, news sources, and internet feeds other than my blog, be warned that you should stop reading now. Thank you for considering my blog irresistible despite those attempts. Yesterday, my dad and I had a major fight. As is advised in all domestic disputes, I’m turning to the Internet for a speedy and just resolution. My goal is to receive a completely fair and impartial decision, so I will present the story as neutrally as possible. After the fifteenth hole, Sonny and Pops were reflecting on their enjoyable round. Sonny said, “Pops, it’s so great to be out here with you on such a beautiful day. We sure are living the good life.” Pops grunted some form of agreement or disagreement. His intent was not clear because while Sonny was thanking his father profusely for the round of golf, Pops was reading the internet on his smartphone, which the country club explicitly bans from use during the round. Sonny then said, “I love you, Pops.” But Pops was too distracted by some fascinating detail on his phone, and he did not respond. When they reached the sixteenth tee box a short while later, Sonny placed his peg in the ground and began his pre-shot routine. Just as Sonny was about to address his ball and hit an incredibly difficult tee shot, Pops shouted an interruption. ”WAIT!” he screamed out, sending a resounding echo through the hollows of historic Silvermine Golf Club. 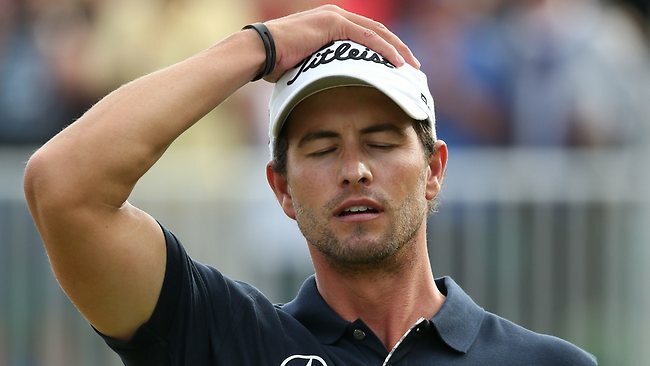 Adam Scott did not win in resounding fashion. It was going to get exciting and close at the end of the round. Sonny returned from a great day on the golf links feeling grateful that he got to spend a beautiful day out in nature with his dad. For the next 6-9 hours, he did not move from his position on the couch, except to eat ice cream, which if you have read his blog before you know he struggles with. With just four holes to play, Adam Scott had a commanding lead and was a 98% favorite to win the British Open. But Sonny had an uneasy feeling about Scott’s chances. Sure enough, Scott went on to bogey the last four holes, and Ernie Els hoisted the trophy. Unfortunately, Pops didn’t even provide the information early enough for Sonny to win $32,000, like this guy did. So what do you say, Internet? Should Pops have respected the rules of his golf club, not checked his phone, avoided any details about the British Open and not even started to say anything to Sonny? Or should he have waited just a short few hours and allowed Sonny to have a wonderful, spoiler free afternoon of European Golf and then discussed the tournament then?